Dr Enrico Bonadio, a Senior Lecturer in the City Law School, comments on a landmark judgement which has further narrowed the gap between 'street art' and 'fine art'. It’s an extraordinary tale with a whiff of Banksy about it, although surprisingly, he was not involved. In a landmark ruling, 21 New York street artists have sued and won US$6.7m in damages from the owner of a building who destroyed their graffiti when he had the building demolished. Following a three-week trial in November, on February 12, Judge Frederic Block ruled against Jerry Wolkoff, owner of the 5Pointz complex in Queens, conferring the biggest award of $1.3m on the building’s mastermind-curator, graffiti artist Meres One, real name Jonathan Cohen. The demolition of the former factory site turned graffiti mecca began in August 2014. The year before, artists had tried to oppose the warehouse’s destruction, but an attempt to win an injunction to prevent the owner from knocking it down was unsuccessful. In the 1990s, Wolkoff had agreed to allow the derelict factory to be used as a showcase for local graffiti talent. Called the Phun Factory, it was later renamed 5Pointz by Meres One in 2002. Under the artist’s watchful eye, it evolved into an “aerosol art centre” and became famous the world over, a huge draw for graffiti aficionados and tourists alike. In the end, Wolkoff profited from the graffiti and its destruction, when the value of the complex went up from $40m to $200m and permission to build luxury condos was obtained. Destroying 5Pointz, the judge stressed, permitted Wolkoff to realise that value. Judge Block accepted that 45 artworks at the centre of the case had “recognised stature” and must receive protection under the Visual Artists Rights Act (VARA), a piece of legislation which was introduced in the US in 1990 to protect artists’ moral rights – but has rarely been applied in their favour. The rationale used by the court to confirm these artworks were of merit was crucial. To be considered such, works of art don’t need to be mentioned in academic publications or be considered masterpieces, as the expert for the property owner had argued. It was enough, the judge said, for the 5Pointz artists to show their professional achievements in terms of residences, teaching positions, fellowships, public and private commissions as well as media coverage and social media presence. Judge Block also carefully examined Wolkoff’s behaviour. The artworks – even those that could be easily removed as they had been placed on plywood panels – were whitewashed prior to demolition without giving artists the 90-day notice required by VARA. And the owner did so, the judge stressed, while conscious of the fact the artists were pursuing a VARA-based legal action. Such behaviour, the judge concluded, was not acceptable. Such blatant disregard for an important legal provision pushed the judge to award the artists the maximum amount of damages allowable under the law. And although he did not grant the injunction requested by the artists in 2013, the judge had warned Wolkoff that he would be exposed to potentially high damages if the artworks were finally considered of “recognised stature”, as they were by the February 12 ruling. 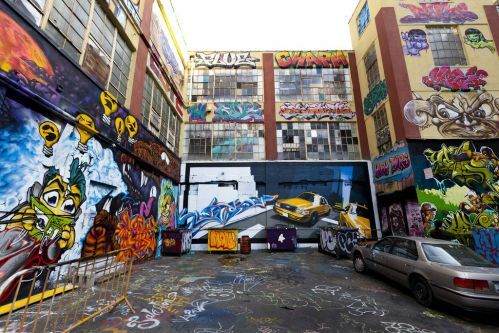 The court also took into account that 5Pointz had become an attraction for visitors to New York, with busloads of tourists, schoolchildren and even weddings heading to the site. Also thanks to Meres One’s savvy stewardship for more than a decade, not only was the complex painted regularly by talented graffiti artists from all over the world, 5Pointz also attracted movie producers, advertising companies and bands, and was used as a location for the climax for the 2013 film Now You See Me. The judge did not attach much importance to the fact that several artworks at 5Pointz were not meant to be permanent, an argument that had also been relied on by Wolkoff to claim that the pieces could not be protected. But the court reminded him that VARA protects both permanent and temporary art. This is an important provision of the law, especially when all that makes a work transient is the site owner’s expressed intention to remove it. 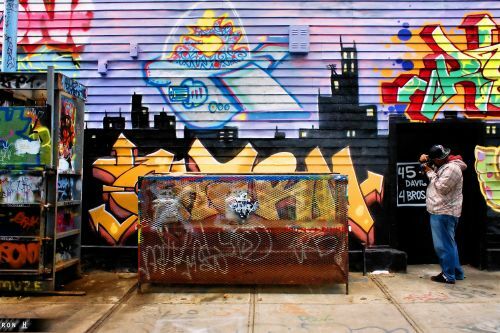 This ruling may well embolden other graffiti artists to sue property owners who destroy artworks without following the correct procedure, even beyond the US. It may also make owners of buildings whose walls host graffiti more careful. Most important, the huge amount of damages awarded in this case will convince many that ignoring legal provisions and disregarding legitimate graffiti art is not a good idea. Judge Block made clear he awarded the maximum penalty allowable to deter other building owners from behaving in the same disrespectful way as Wolkoff. Finally, the decision clearly marks the evolution of graffiti and street art, long considered to be temporary or transient artforms. It is now clear that artistic movements such as these aim to become more permanent forms of art, and that they have achieved a status similar to the one traditionally held by works of “fine art”.